This was a very nice home with a great floor plan and beautiful decorating. I showed it many times and the buyers all felt it had an exceptionally nice feel to it. With that said it was on the market for 217 days. It started at $1,199,000 and was lowered to $1,149,000. Than relisted at $1,099,000 and lowered to $1,049,000. Than back on the market for $999,900-at this point it took 63 days to sell for $976,000. Home had a bigger than usual backyard for Springdale, 4 bedrooms, nice mudroom, unfinished basement, no third floor. In 2007 it was my listing and the home that was torn down sold for $340,000. Listed for $479900 and sold in 5 days for $480,000. 3 bedroom, 3 bath totally renovated. Home was renovated previously and put on the market for $659900 and lowered to $579,000 in a 400 day period. It was put back on the market for $449,000 and lowered to $310,000 in another 257 days. It was than put on the market for $286,00 as a bank foreclosure. At this point the home had been stripped of moldings, doors, cabinets, and much more. Sold in 28 days for $301,100. Western Springs Private Music Studio-Piano for all ages! On the market for 466 days. Home originally listed for $835 and lowered to $797,500 than 765 to 749,500 and than 719900 and 685 and 639. Final list price $599,000 and sold for $575,000. Home had a very nice addition and was conveniently located to public and private grade schools. 5 bedroom, 4 bath, corner lot. On the market for 42 days. This home was built in 1907 and sits in an ideal Old Town location(63 x 151 lot). 4 bedrooms, 2 1/2 baths and only a short walk to town and train. Closed for $616297. The talents of LTHS art students will be on display at the South Campus Corral on Gilbert/Willow Springs Road just past the Garden Market Shopping Center. Thursday, April 26 & 27th 3-5 pm, April 28th 10 am - 4 pm, April 29th noon-4 pm, May 1,2,3,4 3-5pm, May 5th 10 am -4 pm and Sunday May 6th noon to 4 pm. Come see the local talent! This is a prize that everyone loves! 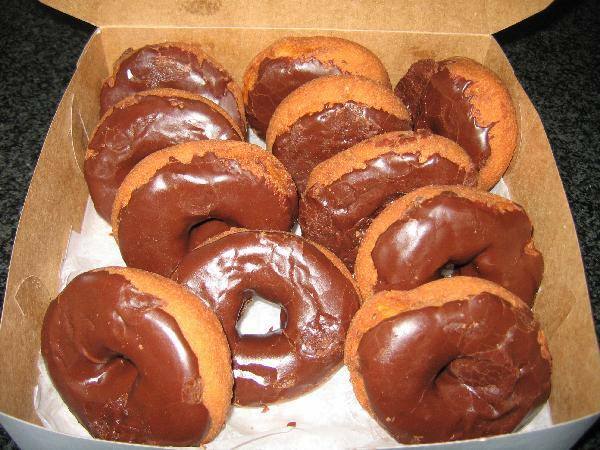 Kirschbaums in Western Springs has terrific cake donuts. I could probably eat 3 or 4 by myself and that is why I will be dropping them off at one of your homes. Built in 1957 this home has hardwood floors and showed nicely. 4 bedroom, 2 bath and 2 fireplaces. On the market for 126 days. It started at $419,900 and was lowered to $395,000 than $375,000. Closed on April 17th for $362,500. April 16th, 2012 and there were two closings in Ridgewood today. I will be giving away a pot of pansies. At this time of the year I really miss Vaughans Garden Center. I will find the winner some beautiful pansies. Just not sure where they will be from. On the market for 30 days. Started at $559,000 lowered to $549,000 and sold for $520,000. 4 bedroom, 3 bath contemporary in Ridgewood. Lots of space! Win two tickets to the LaGrange Annual Rotary Club Spaghetti dinner! Number 100 on April 9th wins two tickets! Given to me by the Rotary Club. Please join the LaGrange Rotary Club at its 17th Annual Spaghetti dinner from 4-8 p.m on Tues., April 24, at the American Legion, 900 S. LaGrange Road in LaGrange. Tickets are $8 per person and kids under 5 are free. Proceeds benefit local nonprofits. Questions? Contact yates.linda@sbcglobal.net Some of the nonprofits are Helping Hand and the Community Nurses. This is fun! My two sons out in LA with their food truck and take out restaurant. I am glad they credited me, their mom! This home was on the market for $775,000 and sold for $780,000. 4 bedroom, 3 1/2 bath on a 50 x 213 lot with a three car garage. Home was very sharp inside. On the market for 6 days! 3 bedroom, 1 bath home on a slab on a 60 x 150 lot. Home was listed for $249,900 and sold for $229,000. Home is a teardown. Sold in 6 days. By the way I sold this home. Cape cod on the 3800 block of Franklin. Home needs renovation but sits on an 80 x 130 lot. Listed for $339,900 and sold for $339,901. The previous winner of this gift certificate said she is too busy for a massage! I think she really needs one but she has asked me to reraffle it so I am giving it to number 77 this week. Listed and sold for $639,500 Great location and a 51 x 200 foot lot. 4 bedroom, 3 1/2 bath on the market for 12 days.